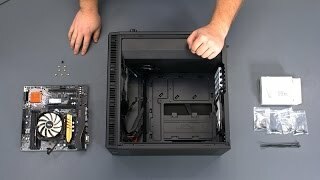 Amazing easy to install low profile cooler for cheap price. I chose this cooler because its small and looks awesome. For the price I'd say you could get a better performing cooler but it probably won't look as good. It's a good entry-level CPU cooler, but the wires beneath the heatsink kept brushing up against the fan whilst turning, which caused an annoying "buzz". Despite being able to fix that, the cooler is still quite, but other than that, it does its job well. Easiest instillation of an aftermarket air cooler I've done. After opening the box I felt like I spent more than $30 on a cooler. It comes with a nice little tool for tightening the nuts on the backplate. The included thermal paste tube is huge compared to what you get with cooler master coolers. This thing is virtually silent and does a great job of cooling my CPU. Definite improvement over the stock Intel cooler. Very happy with this product so far. I will definitely consider Cryorig in future builds I do for my CPU cooling needs. This is a nice little CPU cooler. It's compact and won't block anything on your board, looks great, installs in about 1-2 minutes, and comes with tools and more than enough thermal paste for multiple uses. It fulfills Cryorig's claim of being ~25% cooler than the stock heatsink, while being quieter too in my highly unscientific experience. I primarily bought this as a quieter and more effective replacement for the OEM Intel heat sink, rather than to chill a power-hungry overclocked CPU. The C7 is simply not as powerful as something like the ubiquitous CM Hyper 212, but for a low profile heat pipe cooler in the $40 price range it works great. Runs quiet and cool. Mounts okay and doesn't interfere with anything on the motherboard. Good stock replacement if the price is right. This is my third Cryorig product, and it's just as good as the others. Super quiet, with great heat dissipation, despite its diminutive size. I didn't go for an AIO, as they're too loud for my taste, so the C7 was perfect.